SOPA and PIPA are getting the brunt of attention today due to a very common issue with bills in Congress: the intent is good, but when written, extra efforts are taken to make the Acts far too reaching into liberties that many Americans enjoy regularly. Passing a bill is commonly viewed as “one shot, one kill”, so if you're going to do it, go all out. We have seen the effects of this, of course, in recent years with the passing of bills centered on reforming the financial and health care industries. Unlike the Wall Street Reform and Consumer Protection Act (Frank-Dodd) or the Affordable Health Care Act, we are not talking about an industry that is demonized in popular society: it is embraced. Many people that supported heavy reform of the financial and health care industry vehemently oppose the far reaching consequences of these bills. California is the epicenter of high tech industry and the home of many of the world's largest internet giants. It is also the home of Hollywood, whose business product is the common target of internet piracy. Protecting a business product is one thing, but to essentially criminalize our day to day internet usage (many would be shocked how many “felonies” most people have committed over the years under this bill) is an entirely other story. 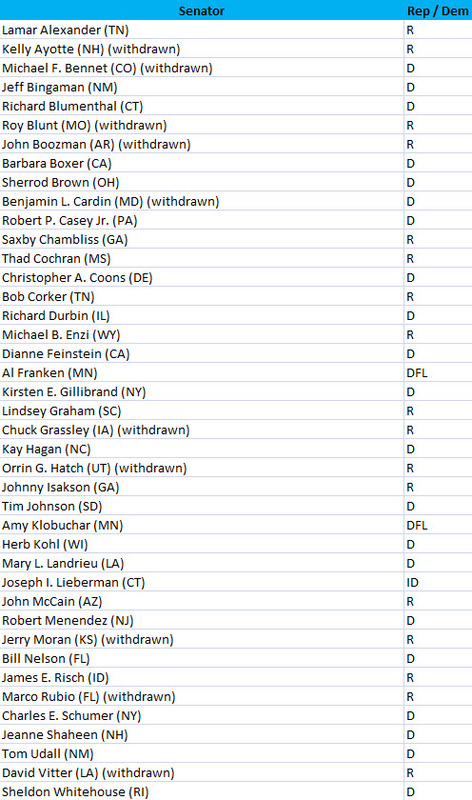 *Names and numbers below updated on 1/19/2012 to reflect the significant number of defectors of support following yesterday's call to action. All of the 8 Californian Representatives live in areas in or directly around Los Angeles, none are from San Francisco or districts anywhere near it. 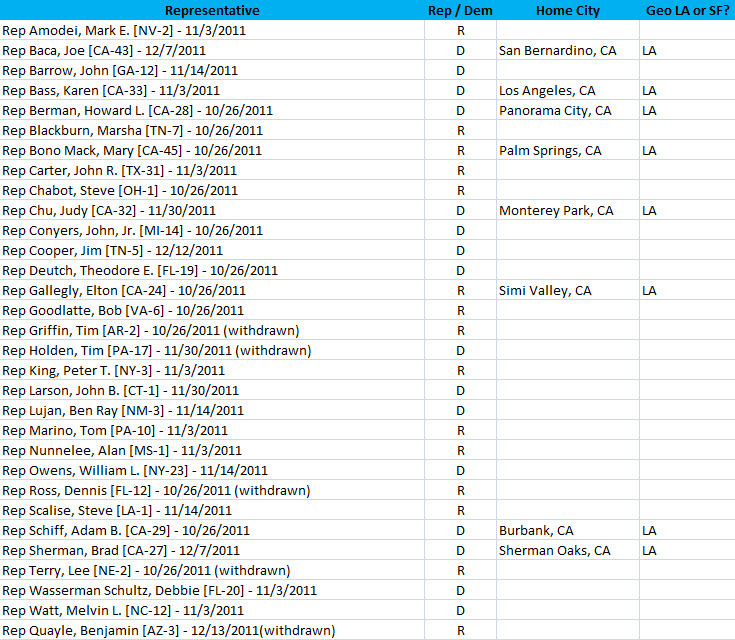 Both California Senators (Boxer and Feinstein) are Democrats and support the Act. Both are from the San Francisco area. PS – I absolutely realize that this is far beyond the norm of what gets posted on this site, but this site, like thousands of others, would be affected by this legislation. Lame. I applaud you for “breaking out of format” and posting this. Too often nowadays people are afraid to express opinions because they don’t fall into a particular format. Frankly, this issue is too important to not get shouted from the rooftops! I’ve seen enough laws passed in my lifetime to last me 10. Anything that damages our economy, needless to say, you’ll hear me complain about. Thank you for the comment, Stan. He highlights who is behind all this.